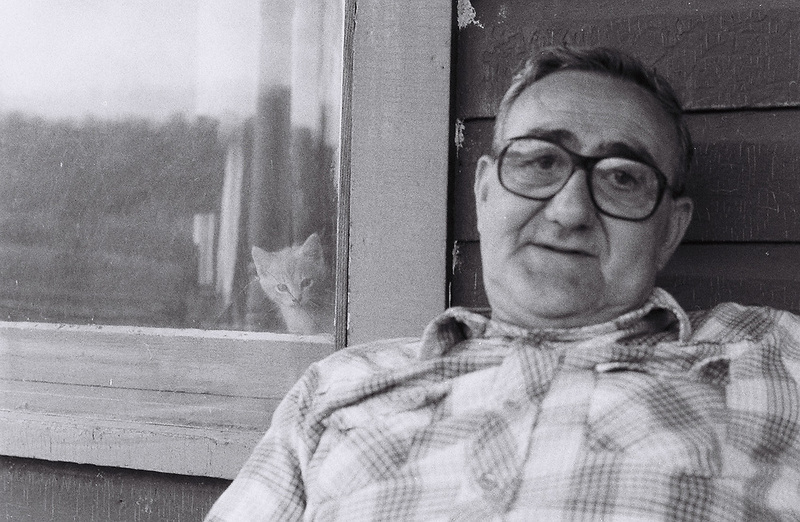 This image is of Randall Gorby at his home in West Virginia. I stopped off to see him on my way from Missouri, where I'd just graduated from journalism school, to El Salvador to start a career as a freelance reporter. The Gorby home had been a refuge for me since I was introduced to Randall and his family on my first journey into Appalachia ten years before. Randall was a charismatic, larger-than-life character. War veteran, steelworker, union organizer, commune host, father, husband, friend to the downtrodden and to any stranger who appeared at his door. Getting to know Randall, his wife Irmgard, and their children was a transformative experience for me. I feel sadness and a sense of loss. Randall is gone. So too is that magical time, that magical place. But It also makes me feel grateful that I found my way there through a series of decisions and coincidences. Not at all, I was completely surprised to find these images from West Virginia, especially this one of my old friend and mentor Randall Gorby. I feel a sense of wonder and amazement remembering my early experiences traveling on my own for the first time into an unfamiliar place. And how I was welcomed like an old and trusted friend into the homes of folks who did not know me. I hope others will experience a hint of the depth of Randall Gorby's humanity in this image. The kitten behind him lends a slightly ironic twist to the photo. Randall is clearly oblivious to its presence. But it seems to underscore his generosity of spirit that, like the cat, he is not consciously aware of.